The [MahoneyNet] is a once-per-week weekly summary, edited by Bill & Cindy Mahoney. This group has ALL the ballroom announcements, INCLUDING the [MahoneyNet] message. The above two links will take you to the two respective “Yahoo Groups” Homepages. You can then click on the “Conversations” link that is located just below the left corner of the top banner image, to view recent dance announcements. 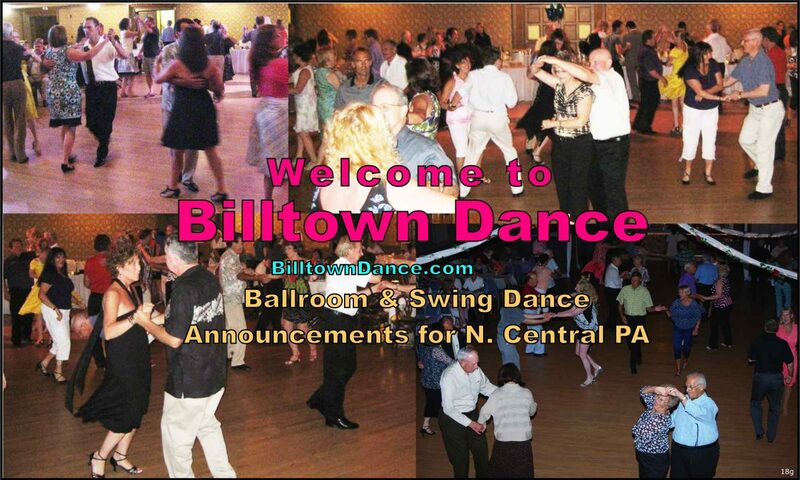 Note: Page 9 of this website, has the List of North Central Pa Dance Groups. PaDanceNet.com has links to other areas.